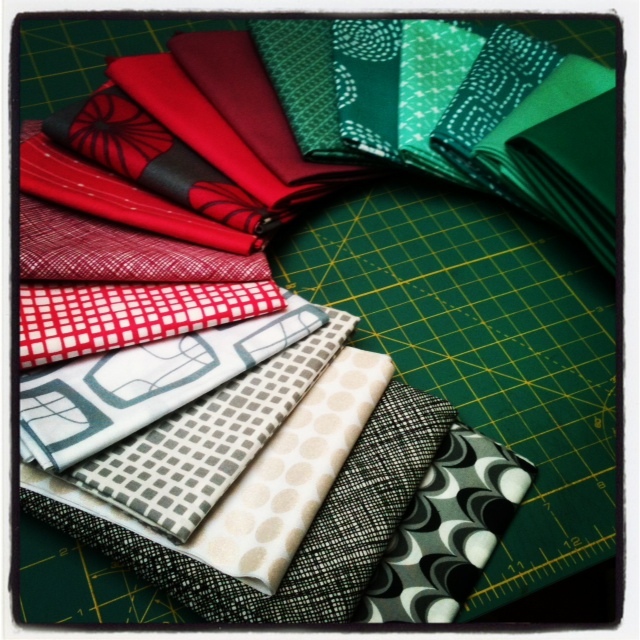 Most of the time I don’t have a definite plan in mind for the fabric I buy. I see what I like and need decide to purchase some; sometimes a fat quarter, sometimes 5 meters. However, on occasion, certain fabrics speak to me and a quilt forms in my head before I’ve even finished basting my current project. That’s my problem you see; too many quilts, not enough time/money/space. 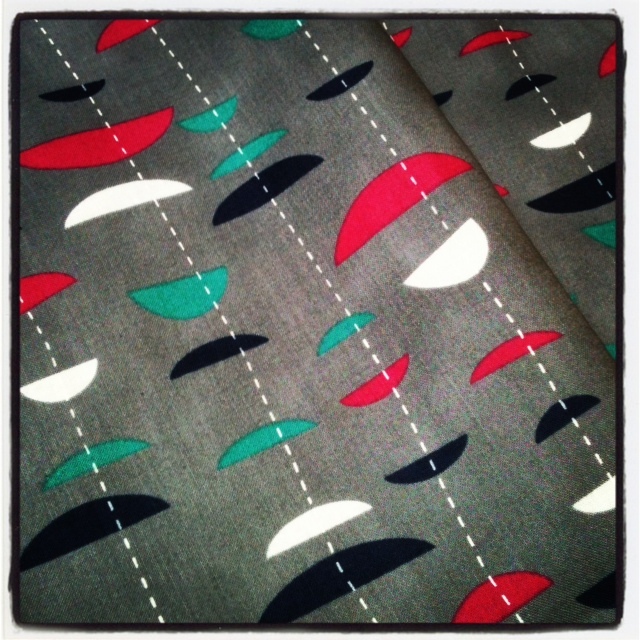 One such fabric was this half moon stripe in charcoal from the ‘Uno’ collection by Stof. I love the jewel colours and the simple, repetitive design. I had to have it. I knew this would be make the perfect backing fabric for a block I’ve been wanting to use on a quilt top for a while. With the colour scheme chosen, more fabric was ordered for the blocks. The other day this colourful collection tumbled through the letterbox. Nordika – Arctic Lights in Polar, Architextures – Crosshatch in Black, Mirror Ball Dots in Snow, Squared Elements in Shadow, Glimma – Soba in Fog, Carnaby Street – Kings Road in Fuchsia, Architextures – Crosshatch in plum, Uno – Beaded Wave in Raspberry, Uno – Floating Axes in Raspberry, Kona Valentine, Kona Plum, Chicopee – Cross Square in Green, Stitch Floral Circle in Teal, Nordika – Stellar in Skylight, Stitch Square in Teal, Kona Candy Green, Kona Blue Grass. Aren’t they great? All I need now is a grey to use for the background. I’m off to London in a few weeks, so I’ll take some of the backing fabric to The Village Haberdashery to colour match it with a Kona solid. With so many new colours being released, I’m not sure which grey would be the best match!